Nimrod is the great grandson of Noah. The family tree looks like this: Noah, Ham, Cush, Nimrod (Genesis 10:1, 6, 8). Per Strong’s Concordance, Nimrod means: rebellion or valiant. Three times, Nimrod is described as mighty, strong, and brave in the Hebrew. Some interpretations indicate Nimrod was possibly a “hunter of men” in addition to game. This guy was the original antichrist long before the term was coined. These were the directions given to Noah and family after the flood. Genesis 9:1 And God blessed Noah and his sons and said to them, “Be fruitful and multiply, and fill the earth.” God said fill the earth, spread out. Nimrod rebelled and built cities. Nimrod brought people to cities. He had a significant opinion of himself. A city bears his name. 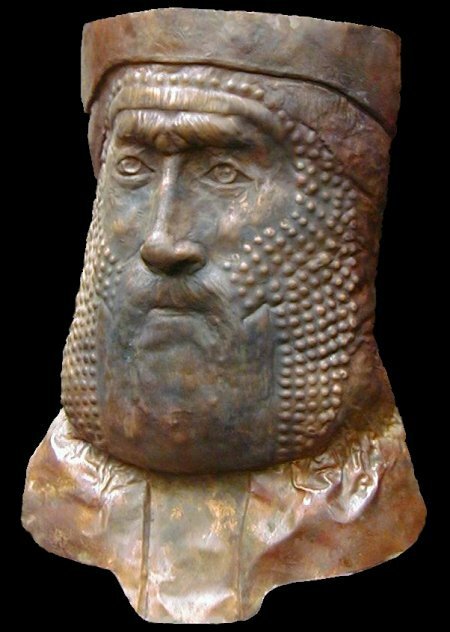 Nimrod was a real person. He built towns along the Tigris River. The first town Nimrod built was Babylon (south of modern day Baghdad). Shinar is the area of southern Iraq. Assyria is the area of northern Iraq following the Tigris and Euphrates Rivers. The towns mentioned in the Bible are real towns. Nimrod is effectively the founder of modern day Iraq. These towns were built roughly 4,000 years ago. Fast forward to March, 2015. These towns are back in our headlines. ISIS views the archaeology of the ancient city is idolatrous. Irony: ISIS has effectively occupied the territory of the Ancient Assyrian Empire noted in the Bible. Nimrod and Nineveh were two important cities of antiquities. The modern day Assyrian Empire (ISIS) is doing all it can to destroy and erase the history of the Ancient Assyrian Empire. This entry was posted on March 11, 2015 at 7:28 PM and is filed under Mosul/Nineveh, Prophecy, Trend Update with tags Assyrian Empire, Babel, Euphrates River, Genesis 10, Iraq, ISIS, Nimrod, Nineveh, Noah, Tigris River. You can follow any responses to this entry through the RSS 2.0 feed. You can leave a response, or trackback from your own site.